We are committed to identifying, training and developing outstanding teachers of the future. We are delighted that you are considering training with our Alliance and we would really like you to apply to join us. Providing a high level of care and support for our trainees is part of our ethos. Our places are open to all applicants who share our values and are passionate about supporting the learning of our students. 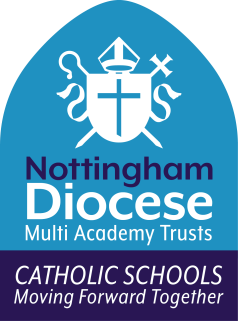 Why train with The Nottingham Catholic Teaching School Alliance? We are working in partnership with Nottingham Trent University, University of Leicester and Bishop’s Grosseteste Lincoln. All trainees who successfully complete the School Direct course with us will be recommended for Qualified Teacher Status and will gain a PGCE(Post Graduate Certificate of Education). The University has a long history of Initial Teacher Education and we have worked together closely to develop a high quality programme based on experience, excellent Quality Assurance and a commitment to a high level of support for trainees.